Gubbio’s history dates back to the pre-Roman times, when Ikuvium was already an important town of the Umbrian country. 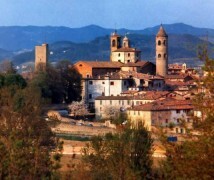 Today the town has 35.000 inhabitants, with many historical buildings belonging to different ages. 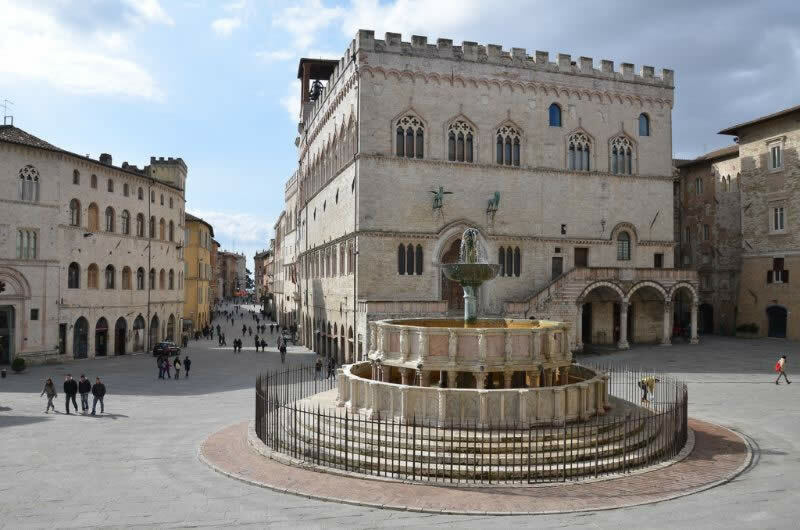 The Palazzo dei consoli dates back to 14th century, and many Roman finds are kept inside. 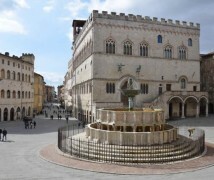 On 15th May Gubbio celebrates its most important day: every year the Corsa dei Ceri takes place on this day: 20 people carry a huge wooden statue running along the narrow streets of the town. 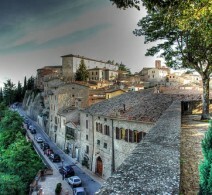 Gubbio’s origins are witnessed in the famous Tavole Eugubine, an important document belonging to the pre-Roman, Italian era. The Roman theatre is just outside the city walls. The Basilica dedicated to the Patron St. Ubaldo was built on a hill overlooking the city centre. 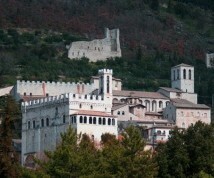 Gubbio has many architectonic jewels, witnessing the power of this centre in the medieval time. 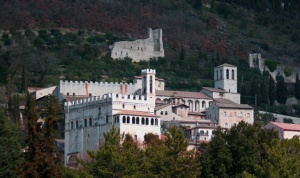 Gubbio also plays an important role in St. Francis’s life: here he actually met the famous dangerous wolf. 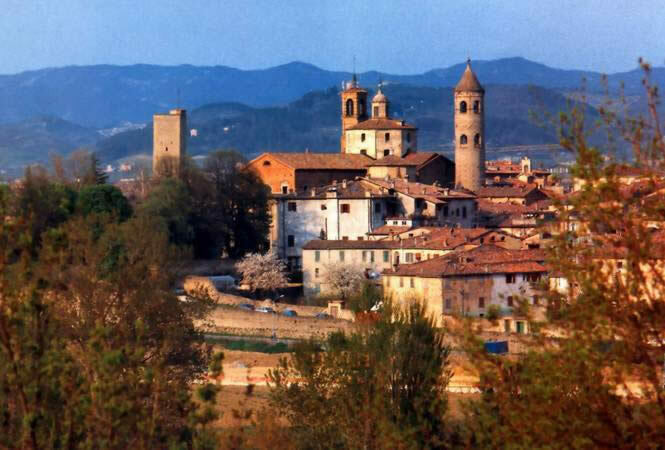 This beautiful town is also characterized by the excellent food and its typical products, like the friccò and the torta al testo, which you can try in one of the various restaurants. This the place wher many famous srtists of the middle ages and the Renaissance have worked, among them Perugino, Pintoricchio, Benozzo Gozzoli, Giotto, Cimabue, Luca Signorelli, Filippo Lippi, until the contamporary Alberto Burri. This land has seduced painters like Turner and Corot. 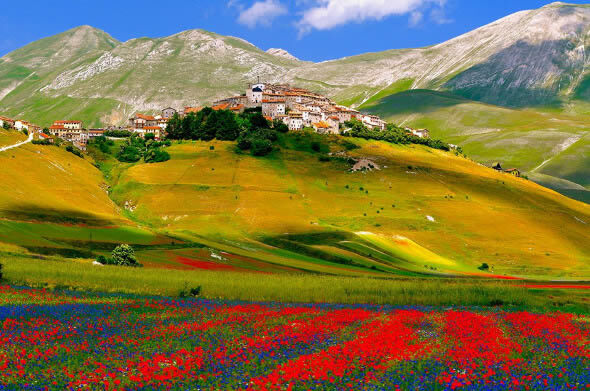 This is where Umbria’s sweet hills slowly grow in order to form the harsh Apennines. These places have kept their untouched fascination and they contribute to the region’s quality, with their events, culture, historical theatres and their small museums, which are linked to the oldest local traditions and products. The town was organized in 5 boroughs already during 11th century; they were named after the Roman – Etruscan city gates which stood along the city walls: Porta Sole, Porta Sant’Angelo, Porta Santa Susanna, Porta Eburnea, Porta San Pietro. 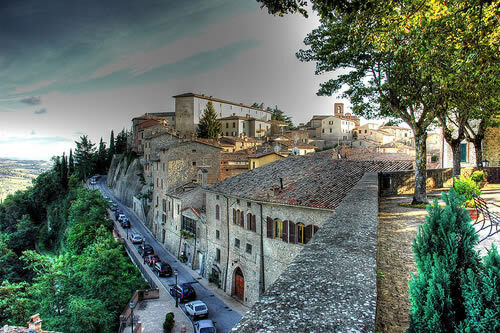 The following expansion of the town, during the 12th century, included some villages outside the city walls, and the shape of Perugia changed, becoming a sort of star crossed by many roads, along the slopes of a hill. 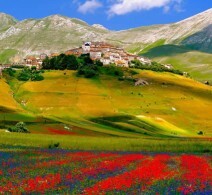 Norcia is not the typical touristic village: it must be discovered and lived to be appreciated. You can transform your holiday into an unforgettable experience. 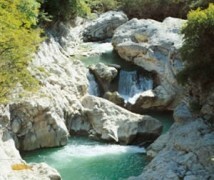 Here nature, mysticism, food, art and quiet life are melted. We have selected some special moments for you, experiences we’d suggest to our friends, to let you discover the real nature of this land. 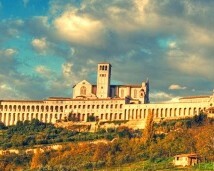 Lying on the scope of the mount Subasio, it’s St. Francis’s birthplace. 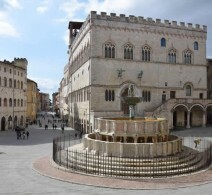 The medieval city centre is organized along the old Roman ways: on the main square Piazza del Comune you’ll find the Palazzo del Capitano del Popolo, il Palazzo dei Priori and the temple dedicated to Minerva. 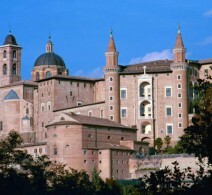 The holy monastery of St. Francis is among the most famous buildings of the town, with its Basilica frescoed by Giotto. 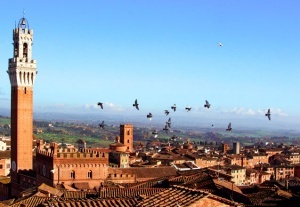 Among the other churches we can mention the 14th century church dedicated to St. Clara, the Church S. Maria Maggiore, with Pinturicchio’s frescoes, and the big fortress overlooking the town from the top of the hill. 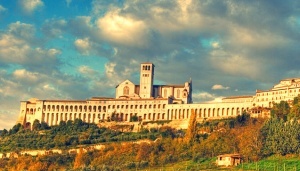 The church S.Maria degli Angeli houses the Porziuncola, the first Franciscan chapel, the chapel of Transito, where St. Francis died and the Chapel del Roseto. 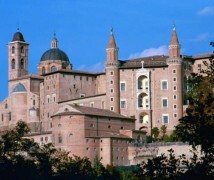 Just a few kilometers far from here you can visit the Franciscan hermitage delle carceri, built by St. Bernardino in 15th century. 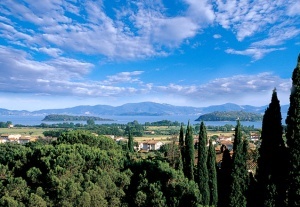 The Trasimeno lake is the largest lake of centre Italy, the 4th biggest in Italy. It’s a river – and partly tectonic lake. It’s heart-shaped and its surface is 128 square Kilometers. Its waters are just 6 meters deep, the banks are low with grooves of reeds around. 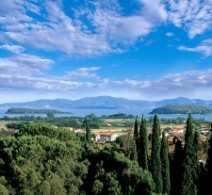 It is surrounded by olive trees and vineyards, with gardens and farms. The Trasimeno lake belongs to Umbria but it is actually a natural border between Umbria and Tuscany, the borders between the two regions is here undistinguished, as well as the dialect spoken here and the food and flavors. 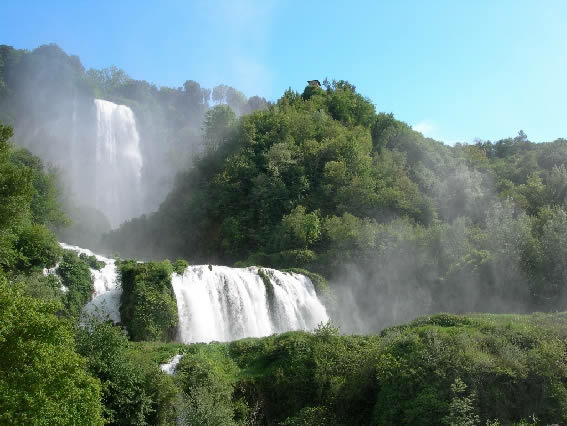 The Marmore waterfall has been described throughout the centuries for its breathtaking beauty, it’s a huge water pillar with three leaps. 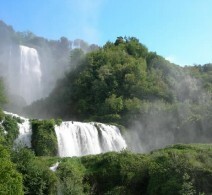 The water wraps up the surrounding nature in a white cloud of foam, 165 meters high. The extraordinary view is the product of over two thousand years of human work; men have actually tried to divert the waters of the river Velino since the Roman age, in oder to let them flow into the river Nera. The Mount Cucco (mt. 1566) stands out against the Apennines, and its Umbrian side reaches the old Flaminia road, where you can still find a lot of Roman works. 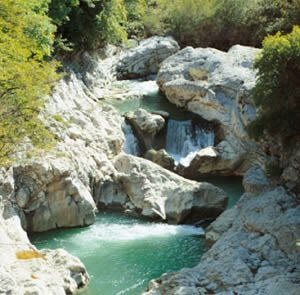 It is the “womb” of the Apennines, rich of caves, underground waters rivers and waters which still feed the public aqueducts. The mineral water pours out into the rivers Sentino and Chiascio. Many fossils and woods characterize the landscape. The park is the home of mountain sports: free flight, caving and cross country ski. 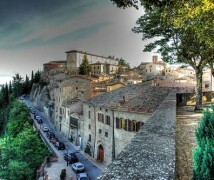 Montone is a small medieval town, perfectly preserved throughout the centuries. During the classical times the valley formed by the brook Carpina included the small territory and it was crossed by a road connecting the upper valley of the river Tiber to the Flaminia road. 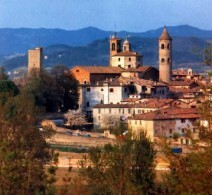 The strategic importance of Montone’s territory became visible during the Longobardic era. Rome, capital city of Italy, former capital city of the Roman Empire and seat of the Papal state, i.e. the very heart of catholic church. 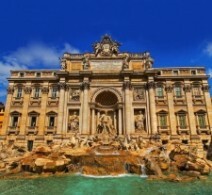 Rich of art, history and culture, Rome is one of the most beautiful cities of the world. The city has the biggest number of churches in the world and St. Peter, inside the Vatican city, is definitely the most famous one. Inside the cathedral you’ll find extraordinary pieces of art, by artists like Michelangelo and Raphael. The coliseum is the biggest monument in Rome, in the heart of the city, it is considered one of the world’s seven wonders. Its name goes back to a huge (colossal) statue of the emperor Nero, which used to be nearby in the Roman times. 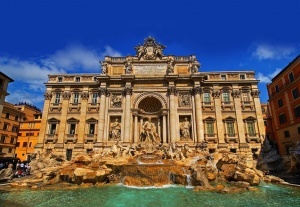 Among the other unbelievable monuments of the capital city, we can mention Piazza di Spagna, Piazza Navona, the Trevi fountain, the Roman forum, the Pantheon, the thermal baths at Caracalla. 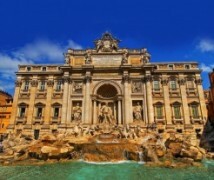 The eternal city has a still much more to offer, just come and discover it. Florence is one of the favorite tourist destinations in Italy; visitors come from all over the world to see the wonderful Piazza della Signoria, the heart of the city, with Palazzo Vecchio (the city hall) which once was the Medici’s house, as well as the Uffizi Gallery, one of the most important museums of the world. Not far away from this square you’ll find the cathedral Santa Maria del Fiore surmounted by the famous dome by Brunelleschi and the Bell tower, a work of Giotto, near St. John’s Baptistery. 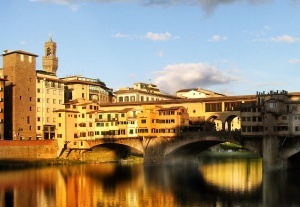 IN the surroundings you can also see the historical bridge Ponte Vecchio, famous for its goldsmiths’ laboratories and shops and for the wonderful view of the town and the river Arno. 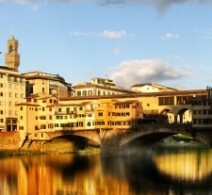 The river crosses the city and it has always played an important role in the history of Florence, as a primary communication course between the city and the sea. 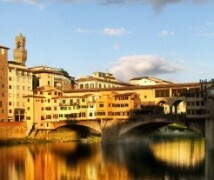 Florence is not just art, history and museums, the city offers a lot to visitors and tourists, with its lively night life and the busy streets during the daytime, the ideal place to have fun. 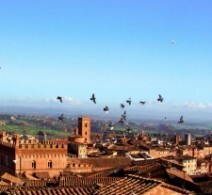 Siena was founded by Romans during the emperor Augustus’s time, however its origins date back to the Etruscan era, according to the archeological finds in the area. 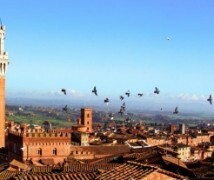 Siena is famous all over the world for its art and today it is certainly one of the most beautiful towns in central Italy. Its celebrity comes mainly from the famous Palio, its excellent wines, among them the Chianti, Brunello di Montalcino, and the Vernaccia di san Gimignano. Piazza del Campo is the heart of the medieval town, the square where the Palio takes place every year on 2nd July and 16th August. It is a horse race, with jockeys riding without a saddle, where every district of the town (called contrada) participate in order to win against the others. 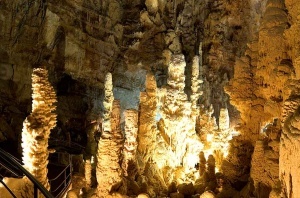 The ideal trip for everyone older than 12, with few difficulties, it’s the first step to do if you want to approach speleology. 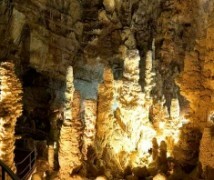 It includes some climbing, caves, bottlenecks and inclines. Just watch out for the uneven, slippery paths, caused by mud on the earth. 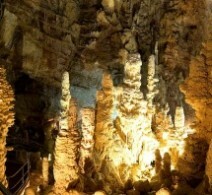 The “outdoor” path begins inside the “infinite hall”, the last stop of the regular visit to the caves, and goes on along a bottleneck called “Cannella” and ends at the “Quattro sorelle” cave; a long gallery will take you to the “Finland hall”. Get ready to get dirty! 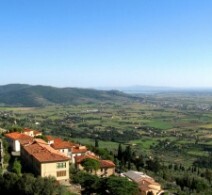 Cortona is an old Etruscan centre, part of the Etruscan federation called Dodecapoli (i.e. 12 cities). 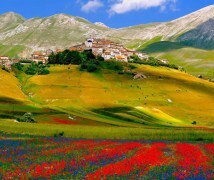 It was founded in the south-east of Tuscany, in the province of Arezzo, at the borders with Umbria. 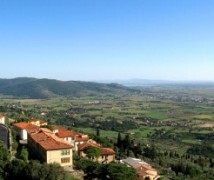 Cortona lies on 500 mt. hill. 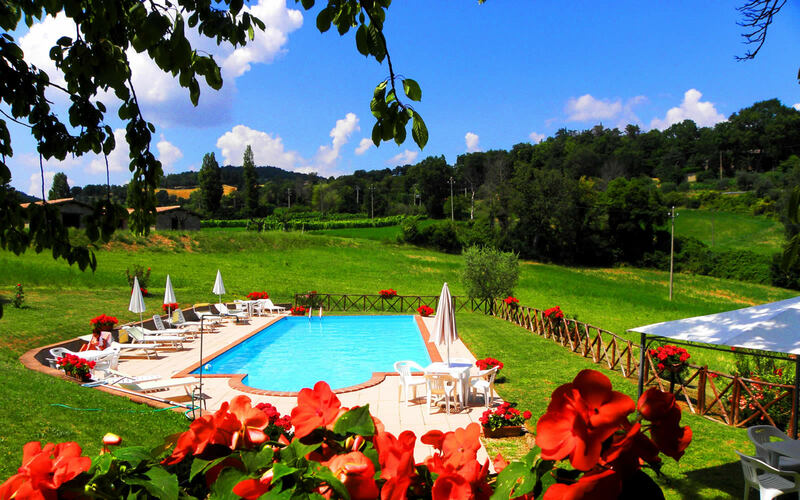 Its strategic position, today as in the Etruscan era, has marked its importance throughout the centuries: just a few miles away you can reach many important artistic towns. 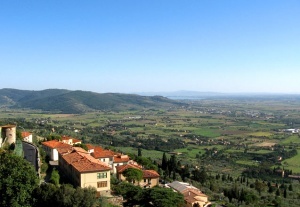 Between 8th and 7th century BC Cortona became an important and powerful city, controlling the valleu and the surrounding Etruscan territory. A city in the shape of a palace. The Ducal palace (Palazzo Ducale) is the symbol of the Renaissance state; during that time the building was actually a new form of palace, not a military fortress, but a place open to different people and ideas. 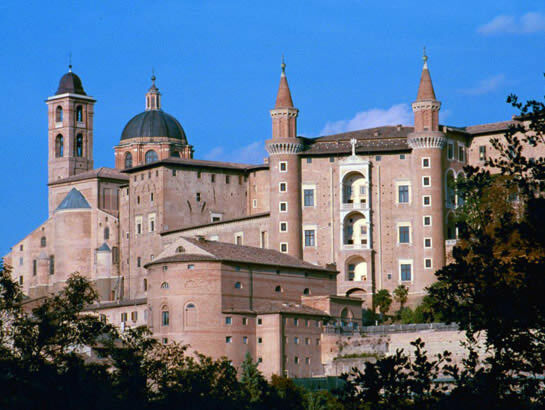 Since 1912 the National Gallery of the region Marche has been housed inside 80 rooms of the palace, on the first and second floor.